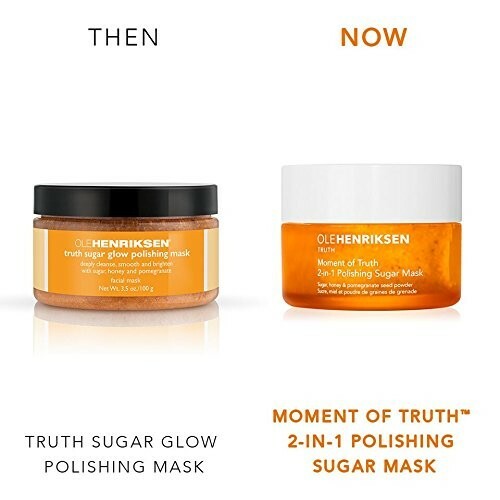 Moment of Truth 2-in-1 Polishing Sugar Mask is a luxuriously decadent experience. 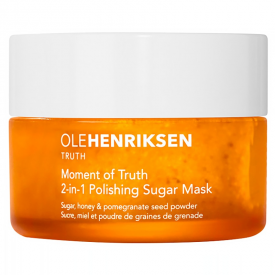 With raw sugar and pomegranate seed powder, it’s one part mask, one part sugar face scrub for a gentle polishing effect that smoothes away dead skin cells that can dull the complexion. Infused with a sweet botanical blend of pure honey, rosehip oil and pumpkin extract, the nourishing formula leaves skin supremely soft and supple. Instantly unveil a healthy-looking, Ole Glow™ that leaves you feeling pampered and straight from the spa! Gently polishes, smoothes and brightens. > 100% of users agree this product removes dirt, oil & impurities. > 100% of users agree this product removes makeup. > 97% of users agree this product cleanses pores. > 91% of users agree this product leaves skin clean & bright. > 91% of users agree this product gives skin a healthy glow. > 94% of users agree this product creates healthy-looking skin. > 97% of users agree this product refreshes skin. Ole loves multitasking products with innovative textures. Inspired by how cleansing oils break down dirt and makeup without stripping skin, this indulgent product’s unique gel-to-oil-to-milk formula demonstrates his dedication to creating a gentle but deep cleanse that’s a joy to use. * This product does not contain parabens, sulfates, or phthalates. Apply sugar facial scrub and mask to clean, damp skin. Leave on for 5-10 minutes. Add warm water and gently massage in a circular motion for 30 seconds, then rinse clean. Use 3-4 times per week. 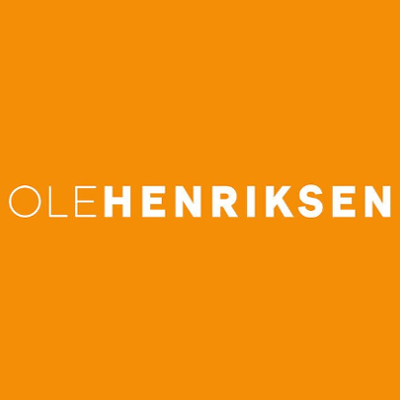 Follow with Ole Henriksen Truth Serum® and the moisturizer of your choice. For external use only. Use as directed. Ethylhexyl Palmitate, Glycerin, Prunus Amygdalus Dulcis (Sweet Almond) Oil, Sucrose Laurate, Olea Europaea (Olive) Fruit Oil, Tocopheryl Acetate, Citrus Medica Limonum (Lemon) Peel Oil, Hydroxyethylcellulose, Xanthan Gum, Hydrolyzed Rice Protein, Prunus Avium (Sweet Cherry) Seed Oil, Linum Usitatissimum (Linseed) Seed Oil, Rosa Canina Fruit Oil, Prunus Cerasus (Bitter Cherry) Seed Oil, Ascorbyl Tetraisopalmitate, Annatto (CI 75120), Retinyl Palmitate, Tocopherol, Limonene. This is a lovely facial scrub but not one I would buy again as the price is ridiculously high! * Ouch big time at the price!! Mine was a small sample jar from a beauty box and although I loved it there is no way I would spend that about on a face scrub as there are many other equally effective natural scrubs for a lot less money. "This is a lovely facial scrub but not one I would buy again as the price is ridiculously high!"